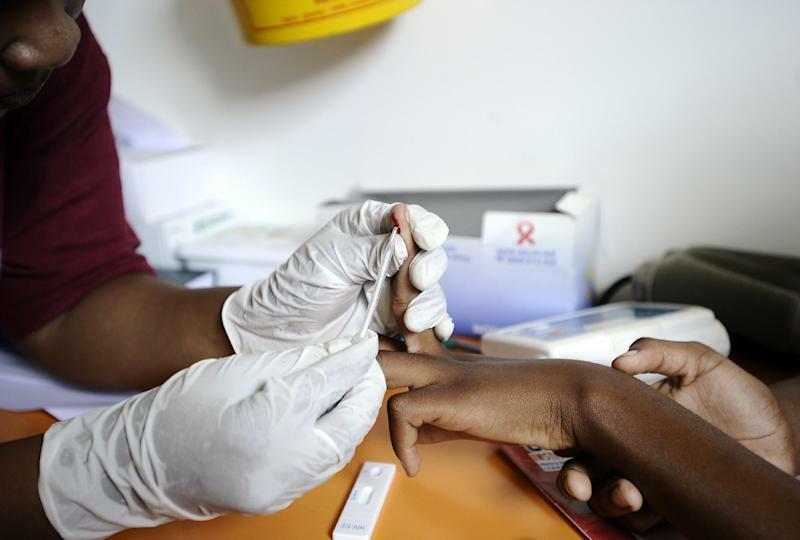 Cape Town (AFP) - South Africa's government plans to extend AIDS tests to the country's entire population and speed up antiretroviral treatment of those who test positive for the virus, the health minister said Wednesday. "We come from very far in the past five years," Aaron Motsoaledi told parliament. "But a lot still needs to be done," the minister said while presenting his annual budget. With 6.4 million people infected with HIV, the virus that can cause AIDS, South Africa has the largest seropositive population in the world, but also the largest programme to treat them. After a recent spike in AIDS infections, the country aims to eradicate the virus by 2030, a goal echoing guidelines adopted by the world AIDS conference in Melbourne this week. Within 15 years the conference wants 90 percent of people to know their status, 90 percent of those infected to be treated and 90 percent of those on treatment to have no viral load. "There are leakages in the HIV/AIDS cascade," said Motsoaledi, whose country saw a 27 percent rise in new infections in 2012. South Africa will step up its programmes to reach the 90 percent target, he said. "This means testing most if not all of the population annually, initiating everyone who is positive on treatment. "It will mean mass testing in every possible setting: schools, universities, workplaces, churches and communities," said Motsoaledi. From January 2015 public health centres will expand free anti-AIDS (ARV) treatment to those whose white blood cell count falls below 500 per microlitre. Currently the medicine is only available free to people whose count of the key immune cells falls below 350. Pregnant women will also start lifelong ARV treatment from next year, while they currently stop after breastfeeding. The new guidelines target incidence rates, since people who receive treatment have a lower viral load, which limits the risk of infection. After long resisting rolling out ARV treatment to people infected with HIV, South Africa set up the world's largest HIV/AIDS drugs programme. Currently 2.5 million people get free anti-AIDS medicine in the country.